Seagate just announced on an earnings call that their 14TB and 16TB versions of its helium-filled spinning hard drive is planned to launch over the next 18 months. The 16tb drive should give you enough room for all those 4K GoPro movies you’ve been shooting. Well, we must admit that no matter how much hard drive space we have, it never seems to be enough. However, due to SSD, hard drives can’t catch the enthusiast attention they once did. The previous year we have seen Western Digital announced record-breaking 14TB hard drive. The 14tb hard drive was the highest-capacity hard drive developed yet, beating the 12TB hard drives from Western Digital and Seagate. 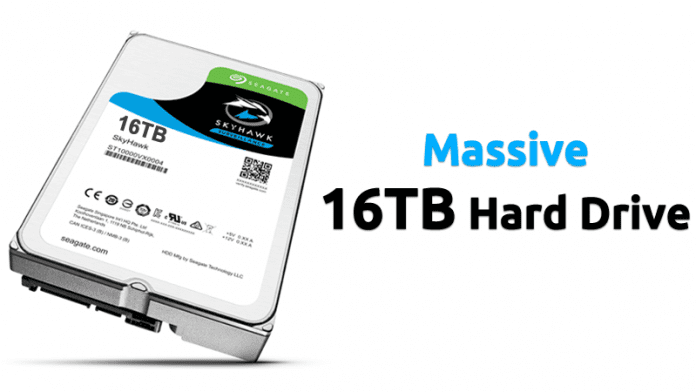 So, there is good news if you like big hard drives or need one. Seagate just announced on an earnings call that their 14TB and 16TB versions of its helium-filled spinning hard drive is planned to launch over the next 18 months. That means a 16TB hard drive will be ready before the end of 2019. Guess what? The 16tb drive should give you enough room for all those 4K GoPro movies you’ve been shooting. Last year Seagate announced a 10TB hard drive and is right now testing a 12TB hard drive which is expected to arrive soon in the market. The price of the 16TB hard drive is yet to be disclosed. However, last year’s 10TB model ran for $534.99. So, we could expect that the price will be something at least in that range.